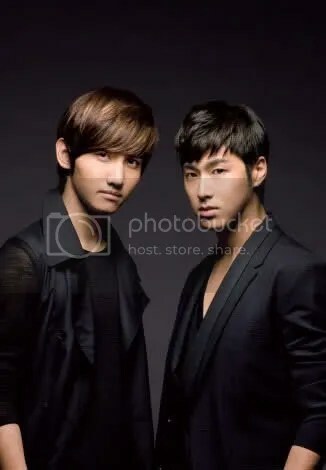 Popular Korean group Tohoshinki’s new song “Winter Rose” (On sale 30 November) will be used as the CM song for 7 & i Holdings’ “Winter Gift – Tohoshinki (Snow Version)” and will feature Tohoshinki themselves. Tohoshinki said, “We think it turned out to be a very warm CM, and our (song) “Winter Rose” flows too. Please select a quality winter gift from us” they appealed. This CM was filmed in Korea in early October, and features CG snow, and you can see the two men display their acting skills as if real snow was falling. Their first Christmas song, (“Winter Rose”) is a gem of a ballad that differs from all the songs that they have done so far. The “Winter Gift – Tohoshinki (Snow Version)” will be aired starting from 8 November.